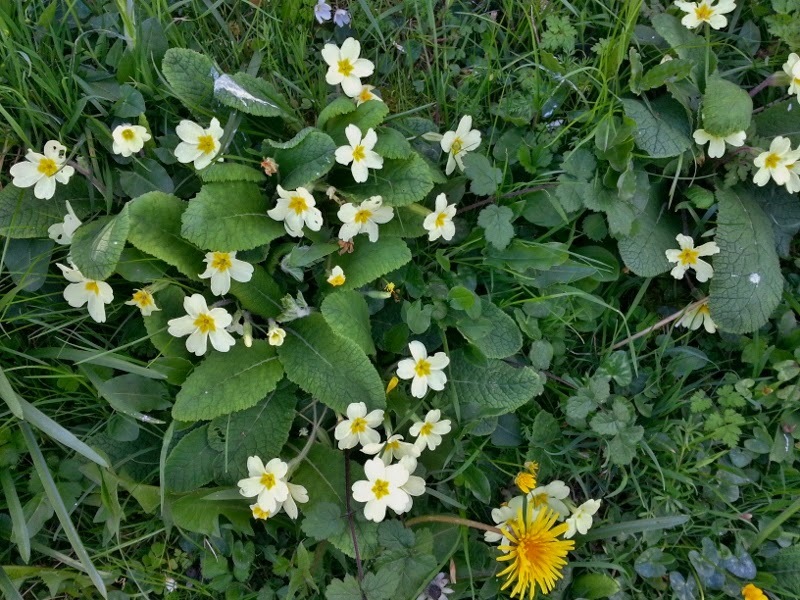 A collection of spring flowers from the local woods including Primroses and Dandelions. Lovely and very welcome, Deb! We have no green here yet!